That is sometimes a frightening place to be. A lot goes on in there that is not often spoken. (although plenty spoken that shouldn't be!) This has been an interesting year in my head. ~“A new commandment I give to you to love one another, just as I have loved you." This being uttered right after he had stripped himself down and washed their filthy feet. "JUST as I have loved you." ~and the untapped power of the Holy Spirit in me. I also read a book by the president of World Vision, Rich Sterns, The Hole in Our Gospel. This book blew me away, pointing me out of my anesthetized, safe, world to the shocking reality of the "least of these" right here, right now, in our world. Our neighbors across the globe. This book most importantly pointed me to scripture. How have I missed passages like Isaiah 58? I’ve studied the Bible all my life. God is telling His people that he is done with their meaningless, rote sacrifices and fasts. and the glory of the LORD will be your rear guard"
God's heart has become clearer and clearer to me. Psalm 68: 5 "A father to the fatherless, a defender of widows, is God in his holy dwelling. 6 God sets the lonely in families"
I loved volunteering at a crisis pregnancy center in the getto, in Houston, for 4 years. God designed me passionately pro-life. It makes perfect sense to me that he would call me to take the step of bringing an unwanted or orphaned child into my home. Why didn’t I think about that sooner? I was much more anti-abortion than a lover of life, and that needed to change. That being said, my ministry is at home, and I feel God is calling us to bring an orphan into our family, into our home.
" to set the lonely in families"
"to bring the homeless poor into your home"
I started reading blogs of families around the country doing just this. They looked like us, thought like us, and sought to make their short time on this earth count before they face God in heaven. I have been so inspired by them, and encouraged to step out in faith. These families are putting their time, money, and hearts where their mouths are. We are not doing this because it will be easy, or convenient, or cute. I believe I am his workmanship and this is a step in the good work that God prepared beforehand for me. Ephesians 2: 8-10. There will be tough stuff ahead. Adoption is the next step, not the first, or the last. Kingdom living, for me, is walking in the good works which God prepared for me before I was created. Stepping out in faith, walking towards Him. Our family will be changed. Others will roll their eyes, or scoff, or think it's a foolish or naive idea. I'm OK with that, I'm not fishing for affirmation. Some will ask, or think, "Do we think we're better than other people?" Hell, no! I will sin all the way through this process, just like I do every day. A child is orphaned in the world every 15 seconds. Where is the Body of Christ? There are over 40 references to orphans in just the OT. James 1:27 "Religion that is pure and undefiled before God, the Father, is this: to look after orphans and widows in their affliction, and to keep oneself unstained from the world." How can I be involved in God’s rescue plan? Adoption is one step. I have dear friends fostering as well, or giving money to help other families adopt. I know others serving as an advocate for orphans in court or getting certified to relieve foster parents. We have just completed our last homestudy and are compiling all our paperwork for our dossier to be sent to Rwanda. 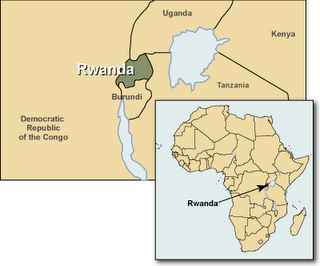 Yes, Rwanda. Again, God has opened doors there, and placed people in our lives who live there, and have adopted from there. We are thrilled about the future as we expand our family! So that is what has been in my heart and my head this past year. In a nutshell. "There is a scene in the movie Dances with Wolves where the Sioux are on a much anticipated buffalo hunt. As they come up over a hill, they are shocked to see a field full of buffalo carcasses. The tragedy of that moment is that where the Sioux use every piece of the buffalo—the bladder holds water, the bone makes a tool, the skin is a covering for a tent- whoever has done this has taken the best part of the buffalo for himself and has left everything else to waste. There is no way to make good use of all that is lying in this field. I was so convicted when I went to Africa that I am not using all of my spiritual buffalo. I have developed this one side of my personal relationship with God. I go to church, I have incredible worship, and I listen to incredible speakers. I have money to buy devotionals, and leisure time to do those devotionals. I have spent a lifetime grooming a personal faith in Christ, but have I been taking the best piece of the buffalo for myself? There has been a joy in discovering the good use of my life. There is a reciprocal redemption that happens when we enter into stories of helping our neighbor—not just around the world, but in our own communities. When I came home from Africa, instead of feeling guilty for my life, I began to hear God in a very clear way say, ‘that thing carries water, that thing makes a tool, that is covering for a tent.’ There is a beauty to the good use of a life, and to the acknowledgment that everything you have and do has a Kingdom purpose. " If you made it this far, thanks. We are SO excited to take this next step in the life of our little family. 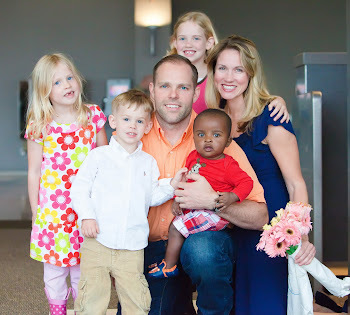 We know there is a little boy in this far away land who God made just for our family!! Beautiful and exciting! Love you friend- heart beating in agreement with every word you wrote. I love your journey to the heart of God. Thank you for walking ahead of me and for letting me watch and learn! love you and can't wait to walk along side of you and pray for you as you begin this journey. love your heart for christ and the way that you listen and obey.